The English Language acts very strangely in some characteristics that it displays. It is complex at times, and yet sometimes very simple. There are so many rules but almost none go without exceptions. Yet there are some rules that contradict other rules. We must have all come across the term verbs in our primary schools. Verbs merely refer to action words, that is, words that describe actions. A simple example would be to say that ‘you are reading this article’ whereby reading is the action that you are performing. However easy as they might be to understand, they have many extensions that are not that easy to comprehend or infer. Auxiliary verbs and modal verbs are two of the extensions of verbs that we will now explore. An auxiliary verb is a verb that adds grammatical or functional meaning to the clause in which it is used. Auxiliary verbs are usually used together with a verb. They can be used to express aspect, voice, modality, tense etc. The main verb is important as it is used to provide the clause’s semantic content. Let us explain this with an example. A simple expression, for example, would be to say, “I have finished writing this article”. Here the verb is writing and the auxiliary verb would be ‘have’, which helps to express the perfect aspect. There can be two or more auxiliary verbs as well in a sentence. If you have heard or come across the words ‘helping verbs’ then they are exactly what auxiliary verbs are! Modal verbs also fall in the category of auxiliary verbs. They are specifically used to indicate the modality in a clause. Modality here refers to the ability, likelihood, permission or the obligation of the performance of the verb with which it is used. Some examples include the verbs can/could, shall/should, may/might, must etc. They are known as modal verbs as they show the likelihood of a certain action. To use ‘could’ would mean the ability to perform a task with an option whether to perform or not. However, if ‘could’ is replaced by ‘should’ then the task at hand has to be performed regardless of the ability to perform it. This example hopefully makes you understand what modal verbs are. In English and other Germanic languages, modal verbs are unique in the sense that they have certain grammatical properties. It must be noted here that all modal verbs are auxiliary verbs but not all auxiliary verbs are modal verbs. Auxiliary verbs are used with other verbs and can sometimes even act as full verbs themselves. Yet sometimes, a verb that is a modal verb can be labelled as auxiliary as well. For example, the word ‘will’ comes under both the categories. It can be determined as part of a single category provided that its use in the sentence is analysed. There are four auxiliary word categories in general. These include have (also has and had), be (also is, was and been), do (also does and did) and will as mentioned above. Two of these can also be used in a single sentence. For example, ‘He has been going out a lot’. Modal verbs include many words and are usually used in the third person. They are normally directly followed by verbs. A list of modal verbs of the English Language include must, shall, should, could, can, might, may, would, will and ought to. Using the same example we can say ‘He must have been going out a lot’. The use of must as a modal verb helps to suggest a stronger possibility. allana. 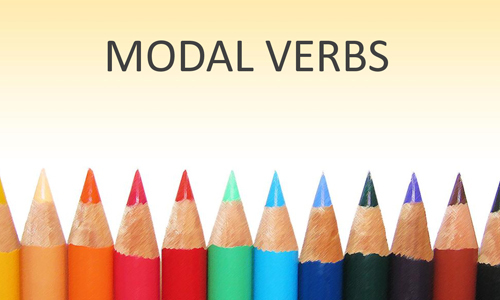 "Differences between auxiliary verbs and modal verbs." DifferenceBetween.net. June 8, 2016 < http://www.differencebetween.net/language/differences-between-auxiliary-verbs-and-modal-verbs/ >.